Kiotari Beach Mitsis Rodos Maris Resort & Spa enjoys a unique beach-front location and it is surrounded by hills. 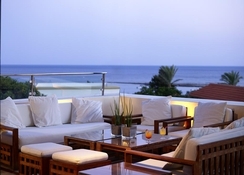 This ultimately makes it one of the best places to stay in Rhodes Island. The rooms in the hotel are comfortable, airy and cozy, which will make the guests feel very special. Foodies will not be disappointed either, as there are plenty of restaurants and bars within the hotel, offering different delicacies from across the world. Other than this, there is a massive outdoor swimming pool, where the guests can take a refreshing swim under the sun and relax on the sun loungers scattered across the pool. Kiotari Beach Mitsis Rodos Maris Resort & Spa enjoys a unique location, as it is set amid the sea and the mountains. There are numerous shopping malls, restaurants, bars and night clubs close to the hotel, which make it very convenient for the guests. The Rhodes Airport is about 57.4km from the hotel. All the guest rooms at the Kiotari Beach Mitsis Rodos Maris Resort & Spa come with uniquely designed interiors. They fall in nine categories namely single garden view, twin garden view, twin sea view, bungalow garden view, bungalow sea view, bungalow sea view front row, family garden view, Maisonette garden view and suite. The food and drink facilities in the hotel are available in abundance. The bars and restaurants in the hotel include Main Restaurant, Mediterranean Restaurant (À La Carte), Hellenic Restaurant “Acropolis”, Asian Restaurant “Kublai Khan”, American “Burger Queen”, Flying Saucer Creperie (À La Carte), All-In Bars & Cafés. Additionally, the hotel provides lunch baskets to the guests and pizza oven on the beach. At Kiotari Beach Mitsis Rodos Maris Resort & Spa, you can take advantage of plenty of sports, entertainment and leisure facilities. 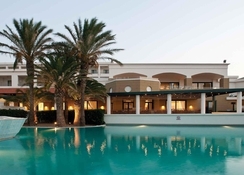 The hotel houses a massive swimming pool, where you will also find sun loungers across the pool. Some of the facilities in the hotel include two tennis courts, two waterslides (one for adults and one only for kids), aerobic, aqua aerobics, art lessons, beach soccer, beach volley, canoes, darts, French balls, gym usage, swimming lessons, table tennis, water polo, windsurfing (valid certificate required). This is my 3rd Mitsis hotel stay and I am impressed by the quality and fantastic customer service that they offer. Lovely hotel close to a quiet and relaxing beach with hospitality fit for royalty, I recommend this hotel. 2018 saw our third visit to Mitsis Rodos Maris Resort & Spa. I just gets better and better. 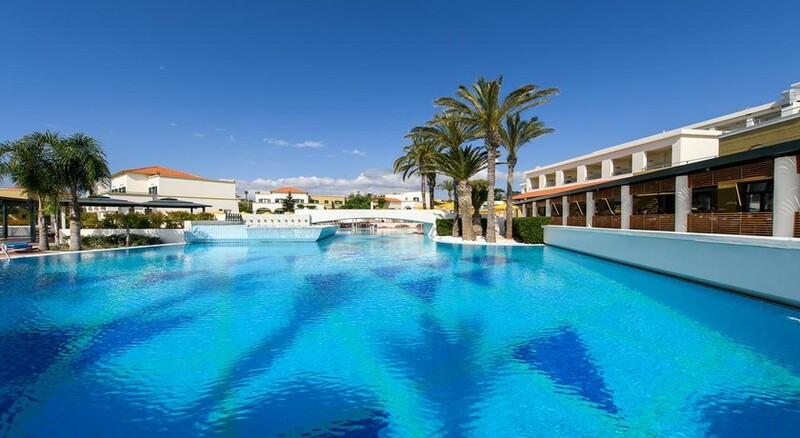 Ideal for an all inclusive family holiday with children of any age. The resort is well laid out and very spacious and the catering is first class. The staff are helpful and friendly. Highly recommended! Hotel facilities ok grounds lovely rooms not 5 star maybe 4 just but all clean all inclusive but alcahol very poor quality no branded drinks cocktails disgusting hot chocolate best drink.